Dental Continuing Education is a professional investment and if you are going to make worthwhile — the subject matter must be relevant and timely, the presenters need to be experienced, knowledgeable, unbiased and REALLY great mentors and it needs to be structured so you get the most out of the least amount of time spent. Hard to find you say??? Clinical Mastery Series presented by Gold Dust is privileged to launch an Advanced Occlusion program featuring Dr. John Nosti and Dr. Mike Smith. 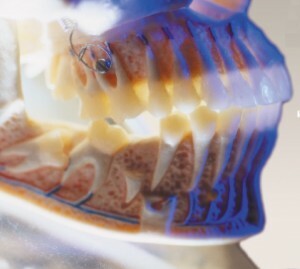 Ultimate Occlusion – Level 2 will be the next step in your occlusion journey with a focus on treatment planning difficult cases and case presentation. Achieve the confidence to predictably treat partially endentulous, stepped occlusions and full mouth rehabilitation in the 2 1/2 day program. Description: This course was developed for the clinician who desires to master successful treatment planning for patients presenting complex occlusions, including partially endentulous, stepped occlusions and full mouth reconstruction. This 2 1/2 day program will provide and interactive, advanced occlusion experience with a focus on treatment planning and case presentations. Participants will learn advanced principles of equilibration with an in depth study of when, where and how to equilibrate. Limited to 16 participants per program *** Don’t wait to reserve your spot!! !